The latest print in the Tile Trade series is on its way! 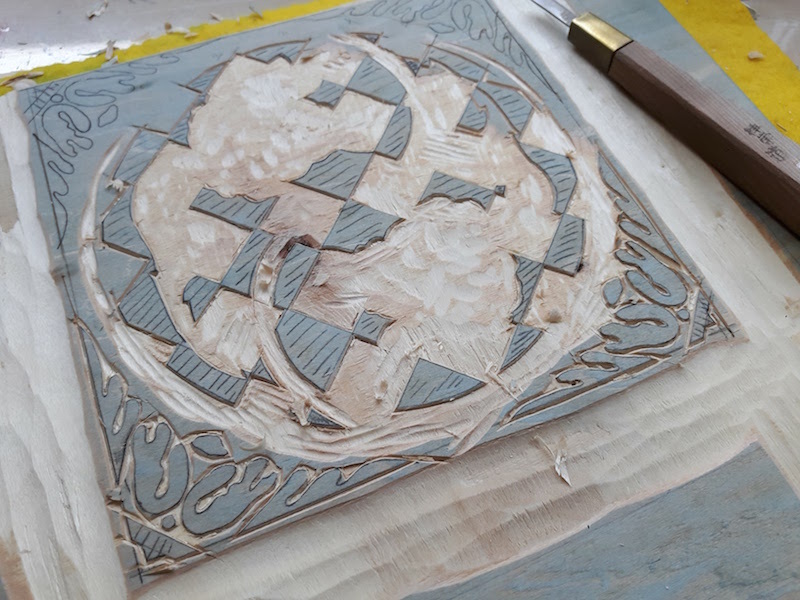 Wealth & Luck was the first print I made almost a year ago after discovering a connection between Singapore and Japan in the form of wasei (Japanese made) majolica tiles. It seems that these relief tiles were customised to feature auspicious fruits, flowers and symbols commonly seen in Chinese culture. This 'sibling' block also has a terrific story that I unearthed after making some amazing discoveries about my family history in Singapore. It was inspired by a tile I discovered at a temple built with donations made by people including my great grandfather, Lim Nee Yam. 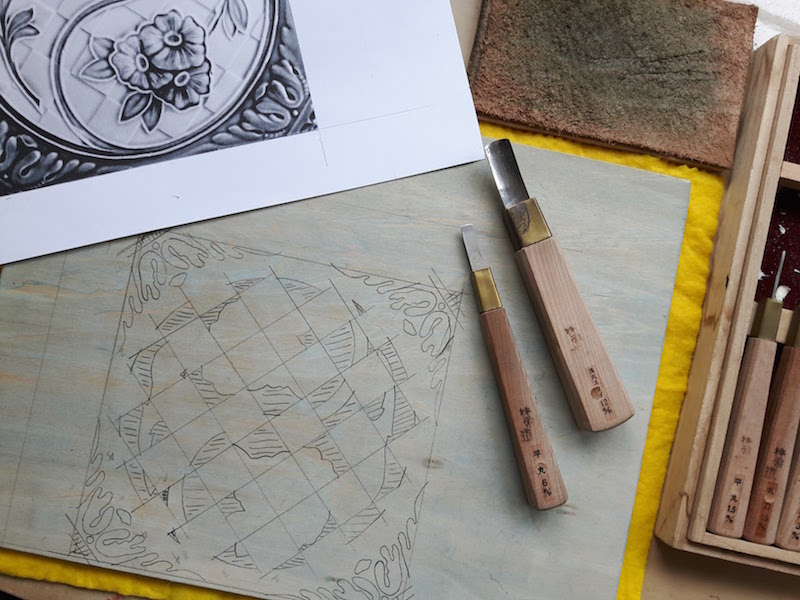 The original tile is from Holland and is also a design popular among Japanese visitors. 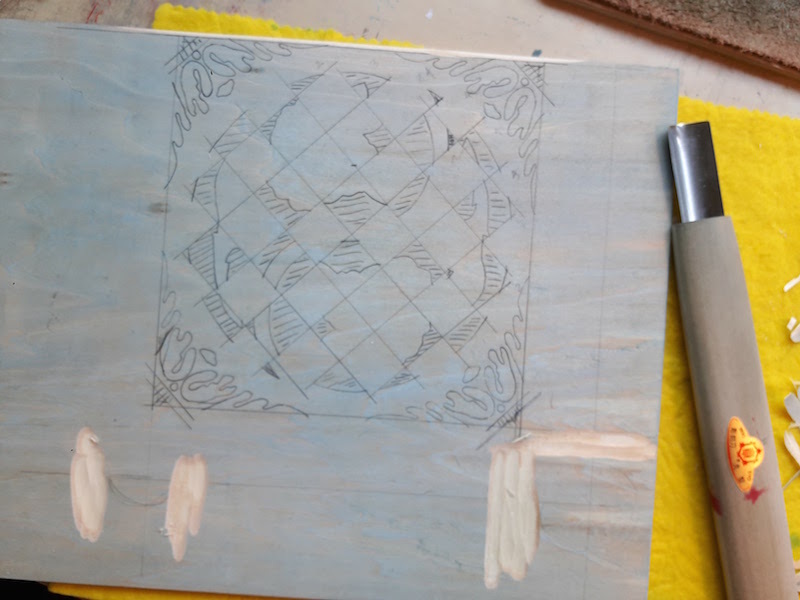 Take a peek at the process behind making my first block!